It is certain that within this category, online booking websites have a much strategic advantage than travel agents. Any cruises in Halong are available for travelers to book. A wide range of cruises from mid-range to luxurious are just a few clicks away thanks to the development of online services and marketplaces. You can define the cruises by your specific search requirements (amenities, room size, etc. ), and plan your trip months before your trip for two to snag these luxurious and popular small cruises. You do not need to worry about the availability when planning for your entire family and friends trip, and many times availability updates will even open up more opportunities that were not initially offered. All you and your family need to do once setting off to Halong are to head straight to the cruise, relax and enjoy spectacular beauty of Halong Bay. 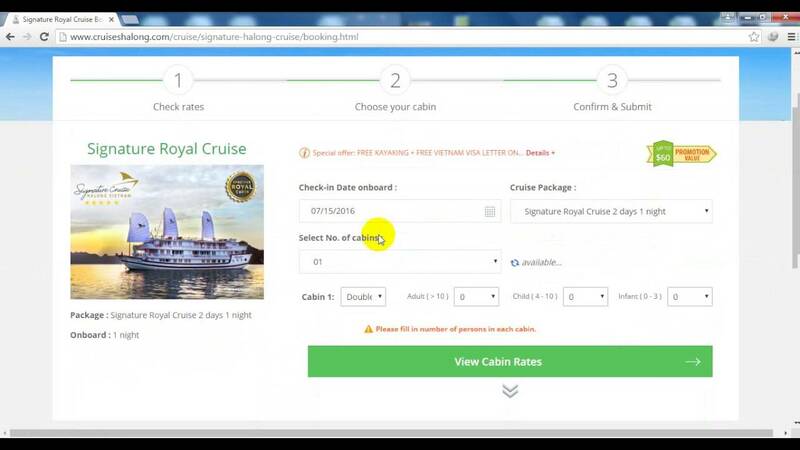 One more special thing is that as long as you have a smartphone with internet access, you can book Halong cruise online after arriving here. Instead of asking agents one by one, it would save you tons of time. However, you will still be able to handle business if you want to wait until arriving at Halong to start looking for your dream cruise. However, as each year Halong Bay is becoming a much busier and even more highly competitive tourist attraction than in the past, it is definitely more of a challenge. Things will become a serious fight against the inevitable, and suddenly your relaxing vacation is no more when you find a suitable and affordable enough cruise among thousands of other people doing the same thing. In order to make a higher profit than if you had just booked safely online in the first place, when it comes to price and true availability, agencies that book in person also may tend to bend the truth. On the other hand, the experience of local agents is an asset to your trip if you want to have them arrange your Halong cruise. They will have no difficulty finding out an available cruise that can meet your basic needs. You might get to do a few extra activities from the list provided if you are lucky enough to meet a nice and honest travel agent. 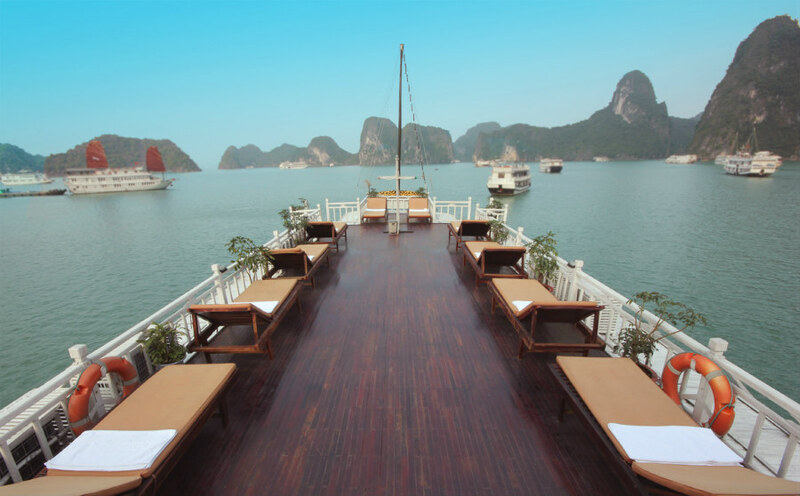 As no hotel wants their customers to return with a horrible experience, essentially saying farewell to a potential loyal customer forever you should ask your hotel to book Halong Bay cruise for you if you still want to book it after arriving there. 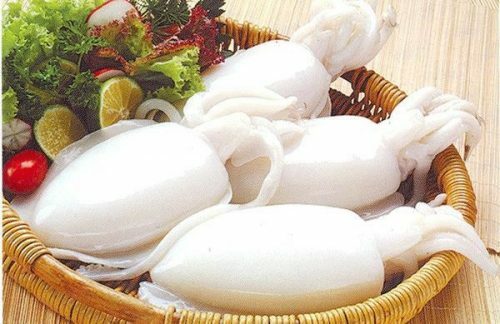 Before taking a cruise trip in Halong, price is definitely an aspect that every tourist must look into. 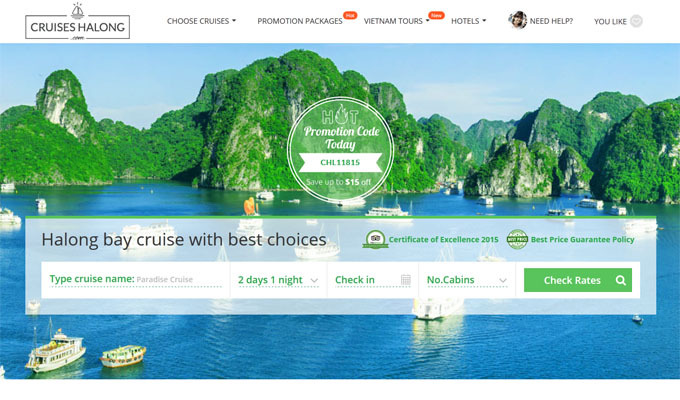 In fact, daily changing, prices on websites can be higher than the offers given by travel agents at Halong. However, if you put effort into your research, there are always special deals and offers on the websites. Checking diligently and being first to book when prices drop is always a way to outsmart the websites. Prices may be more competitive because of a lack of business the week before or after a big holiday or it might be down during a certain season. Now, it is common for many other tourists to get a very decent price on arrival through several local travel agents. It is possible to get an offer of only half of the price of which online booking offers. However, customer service is really bad for a no-bargain price like that. Not one month, but the cruise maybe few years old and those activities like kayaking, fishing or swimming that you should have, either would be completely disappointing or even would not be allowed. How to get to Dau Go Island?